This interactive exhibit took guests along a journey of discrimination, segregation and housing policy in the United States, connecting the intentional and systematic racial housing segregation of the 1930s to political and social issues of today, through the powerful narratives of the people and communities affected by redlining and its legacy. The exhibit gave conference attendees an opportunity to explore our history, be inspired by stories of vision and change, and most importantly, be a part of a dialogue for new and equitable policies and practices moving forward. The conference kicked off with its morning Plenary session titled, “The Impact of Redlining on Communities and People: Related Causes, Consequences, and Equitable Strategies for a Better Path Forward,” at which thought leaders crossing jurisdictions and industry sectors explored issues stemming from the conference’s theme. 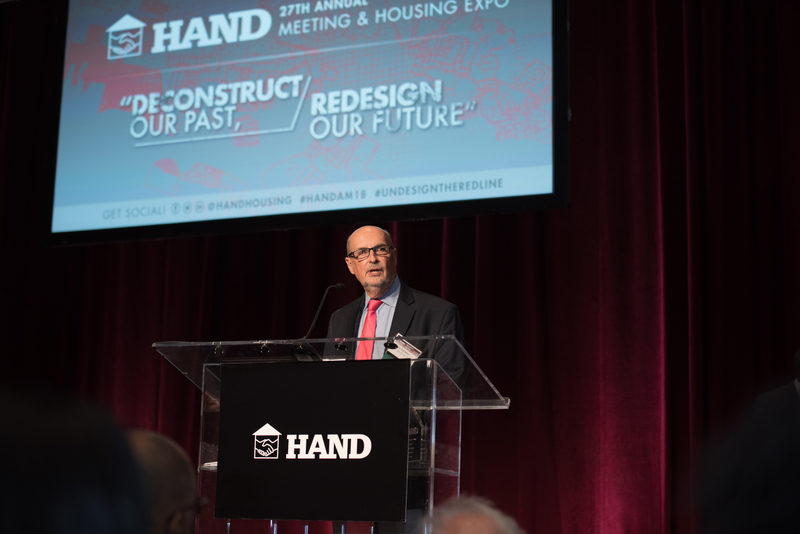 Guests also had the opportunity to connect with other HAND members and colleagues in the Housing Expo, which featured 100 exhibitors. 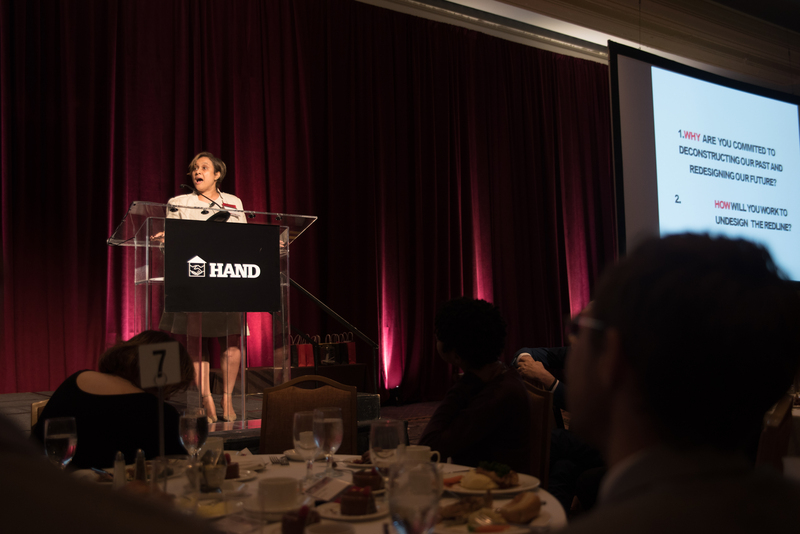 The convening concluded with its signature Awards Luncheon featuring April De Simone, Co-Founding Partner, Undesign the Redline and designing the WE, as the Keynote Speaker, to round out the day’s dialogue. 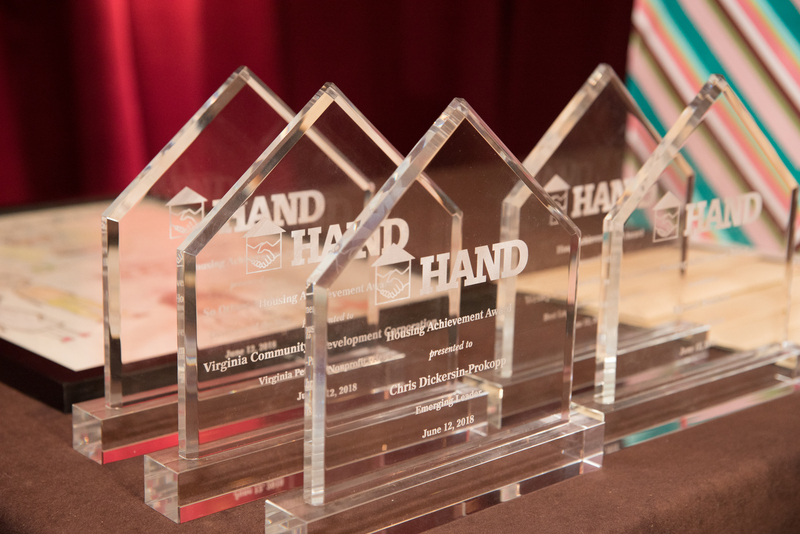 Congratulations again to the winners of our 2018 Housing Achievement Awards and Children’s Art Contest! 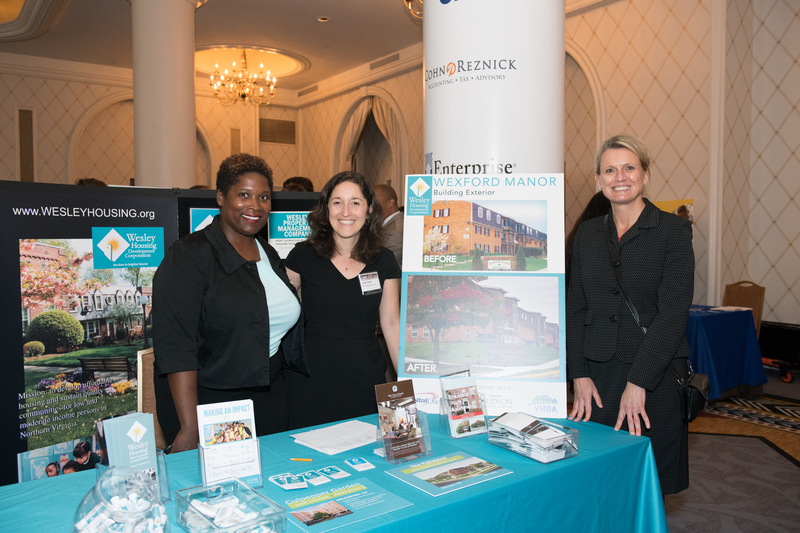 Thank you to all of our sponsors, members, partners and guests who attended this year’s Annual Meeting & Housing Expo! 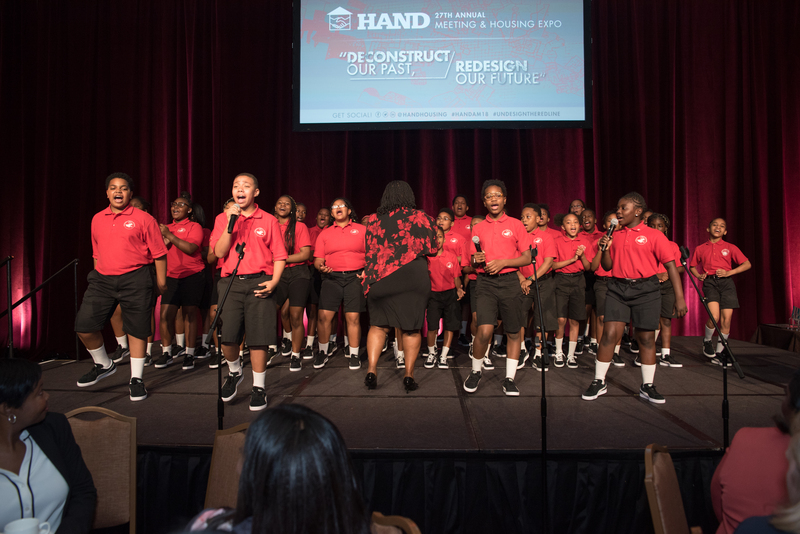 We also extend a very special thank you to the Cardinal Shehan School Choir for its performance – keep inspiring the world around you! 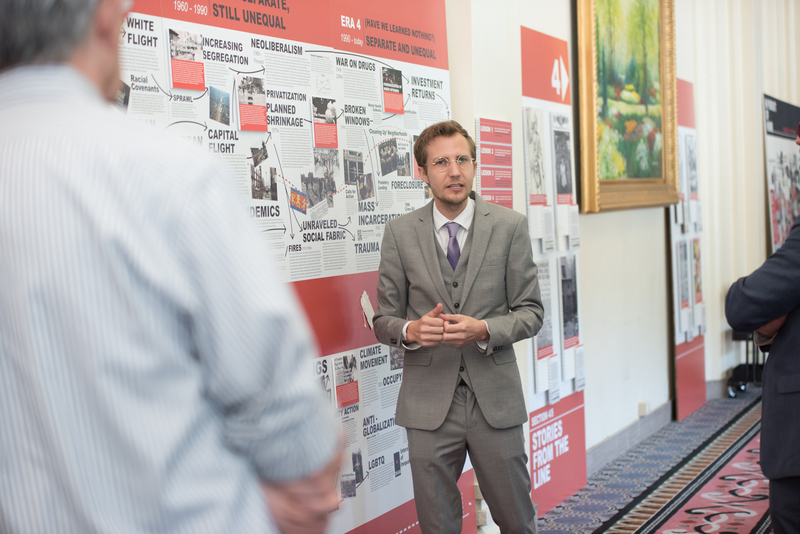 In addition to featuring Undesign the Redline at the Annual Meeting & Housing Expo, HAND partnered with New Communities Initiative (NCI) and DC Housing Finance Agency to host the exhibit for the whole month of June. The public was encouraged to visit for self-guided tours, and HAND and NCI both hosted additional programming for industry stakeholders. CHECK OUT PHOTOS FROM ONE OF OUR RECEPTIONS HERE! Guests journeyed through decades of discriminatory practices and policies that have shaped our communities with an exhibit customized specifically for our region. 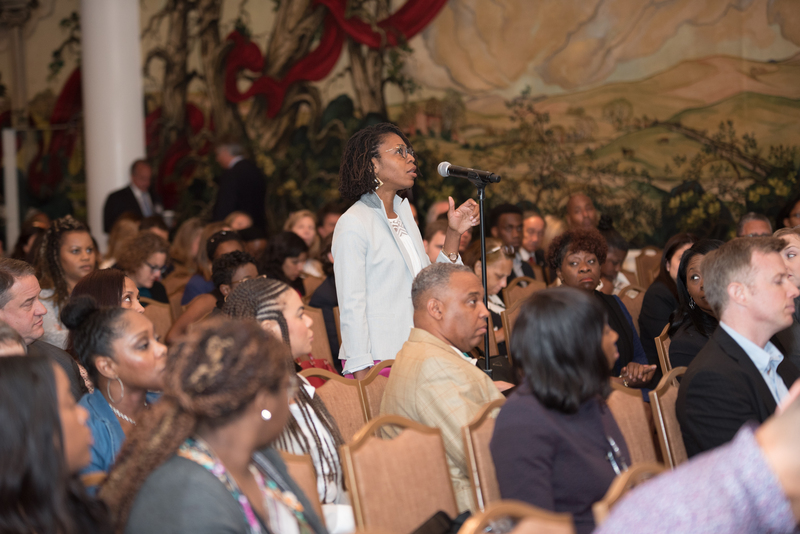 This Plenary session featured a dynamic presentation and panel discussion in which thought leaders took a deep-dive into issues surrounding this year’s theme. Panelists represented a diverse set of sectors, expertise, and perspectives. Nicky Goren is president and CEO of the Eugene and Agnes E. Meyer Foundation, which pursues and invests in solutions that build an equitable Greater Washington community in which economically vulnerable people thrive. Founded in 1944, the Meyer Foundation is a leading supporter of local nonprofit organizations serving the DC region. Each year, the Foundation provides grants totaling more than $7 million to more than 150 organizations working in the interconnected areas of affordable housing, education and workforce development, and financial security. In addition to funding, the Foundation works to build the capacity of partner organizations, serves as a convener and advocate on critical issues, and promotes cross-sector collective action to advance solutions to community challenges. Before being selected to lead the Meyer Foundation in 2014, Nicky served for four years as president of Washington Area Women’s Foundation, which focuses on increasing the economic security of women and girls in the DC region. Prior to joining Washington Area Women’s Foundation, Nicky spent 12 years in senior positions at the Corporation for National and Community Service—the nation’s largest grantmaker supporting service and volunteering. She served as chief of staff from 2006 to 2008 and as acting CEO from 2008 to 2010, overseeing a federal government agency with a staff of 600 and a budget of $1.1 billion. A graduate of Brandeis University and Cornell Law School, Nicky began her career as assistant general counsel in the Congressional Budget Office, and then served as counsel at the newly established Office of Compliance of the U.S. Congress. She currently serves on the Raise DC Leadership Council; on the boards of the Federal City Council, Greater Washington Board of Trade, Trinity Washington University, University of Maryland’s Do Good Institute, and Washington Regional Association of Grantmakers; and is a member of Leadership Greater Washington’s Class of 2013. Nicky lives in the District with her husband and two sons. Ms. Monica Mitchell has over 17 years’ experience in banking and financial education. She serves as Vice President and Community Relations Senior Consultant for the Maryland and Greater Washington DC regions for Wells Fargo Bank, responsible for coordinating Wells Fargo’s affordable housing, workforce development, access to small business capital and financial education efforts for families in the regions as well as supporting the region’s overall Corporate Social Responsibility work. Monica is the founding President of the Board of the all-girls Lillie May Carroll Jackson Middle School in Baltimore City. She also serves on the boards of Junior Achievement of Central Maryland, LISC DC, Baltimore Community Lending and Associated Black Charities. She was a founding member of the United Way of Central Maryland’s Emerging Leaders United Program to promote the professional development and community involvement of Maryland's next generation of leaders. Monica has received numerous awards including: Baltimore Business Journal 40 Under 40, Baltimore Chamber of Commerce Education Advocate of the Year, Associated Black Charities Icon Award for contributions in Corporate Leadership and Philanthropy, Girl Scouts Distinguished Women honors and most recently was inducted into The Maryland Top 100 Women Circle of Excellence – the youngest inductee in the program’s 21 year history. Monica recently completed her Non-profit Management Master’s Degree program with Harvard University. She is a dedicated mother to her two teenage sons, a passionate volunteer, and a mentor for young women of color pursuing careers in the financial services industry. Vyjayanthi V. Rao, PhD, Co-director, is an anthropologist by training. Prior to joining Terreform, she held research and teaching positions at The New School for Social Research and at University of Chicago, where she also received her doctorate. From 2002 to 2004 she served as the Research Director of the Initiative on Cities and Globalization, Yale University, and as the Co-Director of Partners for Urban Knowledge, Action and Research (PUKAR), an innovative urban laboratory in Mumbai, India. Her current work focuses on cities after globalization, specifically on intersections of urban planning, design, art, violence, and speculation. She authored many articles on these topics in noted journals, the co-editor of Speculation, Now: Essays and Artwork (Duke University Press, 2015) and is completing a manuscript on the spatial transformation of Mumbai. Yanique Redwood has overall responsibility for the strategic, programmatic, financial, and administrative operations of the Consumer Health Foundation (CHF), a private foundation in Washington, D.C. She joined CHF as its second President and CEO in 2012 and has led the foundation through a strategic shift that emphasizes the relationship between health, economic justice, and racial equity.Prior to joining CHF, Dr. Redwood was a senior associate at the Annie E. Casey Foundation where she managed the health and mental health portfolio of grants for the Evidence-Based Practice Team. Before joining the Casey Foundation, Dr. Redwood completed a post-doctoral fellowship in the National Center for Environmental Health at the Centers for Disease Control and Prevention (CDC). Prior to her work at CDC, she directed a community-based participatory research initiative in Atlanta. This body of work included pilot projects to provide community-based mental health services for African-American women with lower levels of income and a policy advocacy campaign to mitigate the impact of the built environment on health and mental health.In 2012, Grantmakers in Health named her a Terrance Keenan Institute Emerging Leader in Health Philanthropy, and in 2016 she was named a Business Alliance for Local Living Economies Fellow. She serves as Chair of the Washington Regional Association of Grantmakers and is on the board of the New Venture Fund. Dr. Redwood has degrees from Georgia Institute of Technology (BS) and University of Michigan School of Public Health (PhD, MPH). Michael Sorkin, President, is an architect and urbanist whose practice spans design, criticism, and pedagogy. Since 2000, Sorkin has been Distinguished Professor of Architecture and Director of the Graduate Program in Urban Design at City College of New York. He is the architecture critic for The Nation, contributing editor at Architectural Record, and author or editor of twenty books. Sorkin is a Fellow of the American Academy of Arts & Sciences, the recipient of the 2013 Cooper-Hewitt National Design Mind Award, and is a 2015 Guggenheim Fellow. He is also Principal of Michael Sorkin Studio, an international design practice that works in close collaboration with Terreform. Harriet Tregoning is the immediate past Principal Deputy Assistant Secretary of the Office of Community Planning and Development at the U.S Department of Housing and Urban Development. She initiated the first ever $1 billion National Disaster Resilience Competition. Her work at HUD encompassed helping states, regions, cities, counties and towns across the country build a strong foundation for resilience in the face of a changing climate, and for a diverse and prosperous economy based on enhancing community quality of place, economic opportunity, fiscal stability, transportation choice, and affordability. Tregoning was previously Director of the District of Columbia Office of Planning, where she worked to make DC a walkable, bikeable, eminently livable, globally competitive and thriving city. Prior to this she was the Director of the Governors’ Institute on Community Design, co-founded with former Maryland Governor Glendening. She served Governor Glendening as Secretary of Planning in Maryland. She was a Loeb Fellow at the Harvard Graduate School of Design in 2004.She is now working with organizations around the country to help states and localities increase their resilience to future natural and economic disasters. Mr. Ernst Valery is Managing Member and President of SAA | EVI and shares overall responsibility for the day-to-day operations and execution of SAA | EVI projects and relationships. Mr. Valery has successfully invested in and developed real estate in Maryland; Washington, D.C.; Pennsylvania; Virginia; California; and New York. For the past 16 years, he has been involved with development projects ranging from mixed-use, multi-tenant rental properties, single-family renovations and condominium conversions. Mr. Valery is the founder and president of SAA | EVI affiliate Ernst Valery Investments Corp. (EVI), a private, minority-owned real estate investment firm established in 2001. EVI invests in select underserved and undervalued key emerging domestic real estate markets, defined as urban transitional areas with high residential and retail demand. Mr. Valery has extensive experience in affordable and market rate housing development and investment, including providing due diligence capabilities and extensive skills in budget planning, design development, marketing, and the supervision and guidance of contractors, architects and engineers. He is responsible for the securing and structuring of financing, including expertise in securing Historic and New Markets tax credits. Mr. Valery is also active in social entrepreneurship and volunteer work, including a collaboration with a team of professionals and graduates from the Massachusetts Institute of Technology Community Innovators Lab (MIT CoLab) as well as efforts at incubating businesses around the world that help alleviate poverty and increase the earning potential of low income individuals, families, and communities. Mr. Valery graduated from Columbia University’s Master of Science program in Real Estate Development. He also obtained a Master’s Degree in Policy Analysis and Public Administration and a Bachelor of Science degree in Urban and Regional Planning with a concentration in International Relations, both from Cornell University. Ernst is also a Mel King Community Fellow at MITs CoLab. Gustavo Velasquez is director of the Urban Institute’s Washington-Area Research Initiative, a cross-center initiative and multidisciplinary program of evidence and policy analysis focused on the national capital region. As a reliable source of evidence and advice, Urban’s Washington-Area Research Initiative provides insights from research to policymakers and practitioners in ways both relevant and actionable. Velasquez served for nearly three years as assistant secretary for fair housing and equal opportunity at the US Department of Housing and Urban Development (HUD). He served on behalf of the president as the strategic lead of the fair housing and inclusive community agenda for the Obama administration. During his tenure, HUD achieved groundbreaking enforcement victories in fair lending and in major housing discrimination cases. Velasquez led efforts to promulgate the landmark Affirmatively Furthering Fair Housing rule, a key tool for cities, states, and other HUD funding recipients to reduce inequality and disparities in access to opportunity. Velasquez worked in executive roles in the administrations of DC mayors Anthony Williams, Adrian Fenty, and Vincent Gray. He also has nonprofit experience as executive director of the Latino Economic Development Center, a local community development organization in Washington, DC, and Congreso de Latinos Unidos, the leading social service provider to Latinos in Philadelphia. Velasquez has served in numerous boards and committees of financial institutions, civil rights groups, and educational organizations at the local and national levels. He graduated from the University of Pennsylvania with a master’s degree in public administration. Steven H. Woolf, M.D., M.P.H, is Director of the Virginia Commonwealth University Center on Society and Health and Professor of Family Medicine and Population Health at Virginia Commonwealth University. He received his M.D. in 1984 from Emory University and underwent residency training in family medicine at Virginia Commonwealth University. Dr. Woolf is also a clinical epidemiologist and underwent training in preventive medicine and public health at Johns Hopkins University, where he received his M.P.H. in 1987. He is board certified in family medicine and in preventive medicine and public health. Dr. Woolf has published more than 190 articles in a career that has focused on promoting the most effective health care services and on advocating the importance of health promotion and disease prevention. In recent years, his work has turned to social determinants of health. Dr. Woolf has conducted studies demonstrating that addressing poverty, education, and the causes of racial and ethnic disparities could accomplish far more to improve the health of Americans than investing predominately in medical technological advances. In addition to scientific publications, he has tried to bring this message to policymakers and to the public through testimony in Congress, editorials in major newspapers, web-based tools, and speeches. Dr. Woolf was elected to the Institute of Medicine in 2001. Dr. Woolf served as science advisor, member, and senior advisor to the U.S. Preventive Services Task Force. Dr. Woolf edited the first two editions of the Guide to Clinical Preventive Services and is author of Health Promotion and Disease Prevention in Clinical Practice. He was formerly the associate editor of the American Journal of Preventive Medicine and served as North American editor of the British Medical Journal. He chaired the National Research Council/Institute of Medicine panel that produced Shorter Lives, Poorer Health, which compared the health of Americans with peers in 16 other high-income countries. He has consulted widely on various matters of health policy with government agencies and professional organizations in the United States and Europe. April De Simone is a transdisciplinary design practitioner and strategist with over 20 years of experience cultivating initiatives centered on systemically addressing complex socio-spatial challenges. Her upbringing in the Bronx, New York, embedded a first-hand understanding of the long-term impact of policies and practices like Redlining, urban renewal, and the war on drugs on those who tow the front-lines. Continuing to advocate for innovation, she explores the role of design in activating equitable lived experiences within the built environment. In 2015, she co-founded designing the WE (dtW), a for-purpose research and transformative design company working in community-driven social, cultural, and economic development. The company creates and uses tools like the Undesign the Redline (UTR) experience to contextualize and explore the transformation of place, race, and class in America. UTR curates a past to present journey of our most pressing and interconnected social challenges while provoking thought, questions, and dialogue around the policies, practices, and investments that not only accentuate systemic disparities and inequalities but impede the full potential of democracy. Each engagement, activates a space where honest conversations around how race and socioeconomic factors reinforce systemic and structural inequity and how these inequities play out in the built environment. As a result of these engagements, diverse stakeholders from community organizers to government agencies delve into the themes of the exhibit and the role of design in shaping human experience. Ms. De Simone also co-founded various socially conscious platforms, including the New York Metro Chapter of the Social Enterprise Alliance in 2010, Urban Starzz, a Bronx, New York-based the social enterprise in 2007. She sits on progressive boards, including that of the American Sustainable Business Council and continues to work closely on a local and national level with diverse stakeholders on issues of race, equity, and new economies. April received her Bachelor of Arts in Social Science with a Concentration in Political Science from New York University and was recognized in 2012 for the Bart Lawson Award for Public Service. A Dean Merit Scholar recipient, she received her Master of Science in Design and Urban Ecologies from Parsons in New York. For fifty years, Charles Edson has been involved in the housing field through an active law practice that encompassed all phases of law relating to affordable housing development, finance and legislative efforts. During that time, he has also authored or co-au­thored five books on housing, edited the Housing and Development Reporter published by Thomson Reuters, chaired over two hundred and fifty seminars on affordable housing and served on boards of directors of six profit ­motivated and nonprofit housing corporations. Edson currently lectures to business and professional organizations and trade associations, many of which he founded during his career, on housing topics. He also taught a semester course on affordable housing at Georgetown Law. 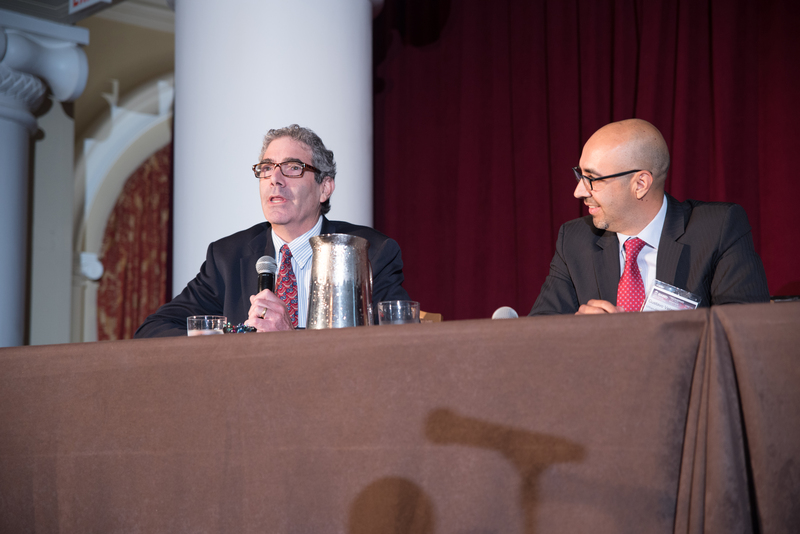 Having previously served in the Office of the General Counsel at the U.S. Department of Housing & Urban Development, Edson offered nuanced insights to his clients, who developed and financed important affordable and government-assisted housing across the U.S. He also advised on legislative matters relating to affordable housing, including the low-income housing tax credit. Edson now focuses his efforts on housing advocacy and outreach. Nancy Rase is the principal of Nancy Rase Consulting Services, LLC. The business was created in October 2015 to provide consulting services to housing organizations and public agencies involved in the affordable housing industry. Nancy is a co-founder and the former president and CEO of Homes for America, Inc. She remains as an emeritus director of the organization. 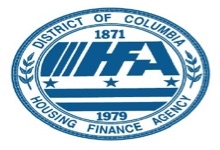 During her tenure from September 1994 through October 2015, HFA developed or preserved 75 rental communities with over 6,000 apartment homes in the Mid-Atlantic states of Maryland, Pennsylvania, Virginia and Delaware. 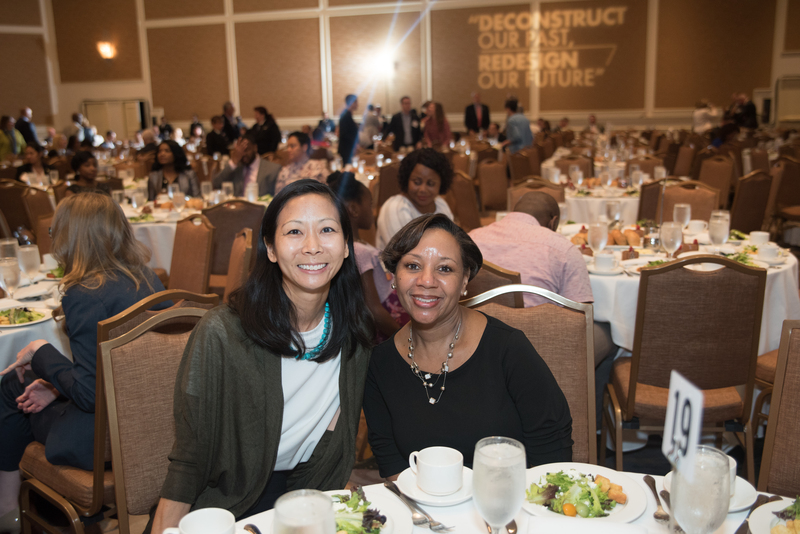 Prior to HFA, Nancy was with the Maryland Community Development Administration for 16 years where she served as the agency’s deputy director, director of housing development programs, and director of rehabilitation programs. She also worked for seven years in local government as the assistant manager at the Housing Authority of the city of Hagerstown. Nancy has served on many boards during her career and is the past president the Housing Association of Nonprofit Developers (HAND),Anne Arundel Affordable Housing Coalition and Maryland Affordable Housing Coalition. She currently serves on the boards of Arundel Community Development Services, Inc., Chesapeake Neighbors (an affiliate of the ARC of the Central Chesapeake), Enterprise Homes, Gulf Coast Housing Partnership, Arlington Partnership for Affordable Housing, Community Preservation and Development Corp., Volunteers of America Nathan Services and Women’s Housing Coalition. She has also serves on the Development Review Committee of Volunteers of America, the Investment and Asset Management Committee of the Housing Partnership Network and the Loan Committees of the Housing Partnership Loan Fund and Housing Partnership Ventures. She has a Bachelor of Science in Finance from the University of Baltimore. In January 2018 Jim Taylor joined the Fairfax County Government’s Office of Public Private Partnerships (OP3) in the role of Corporate Relations Program Manager. 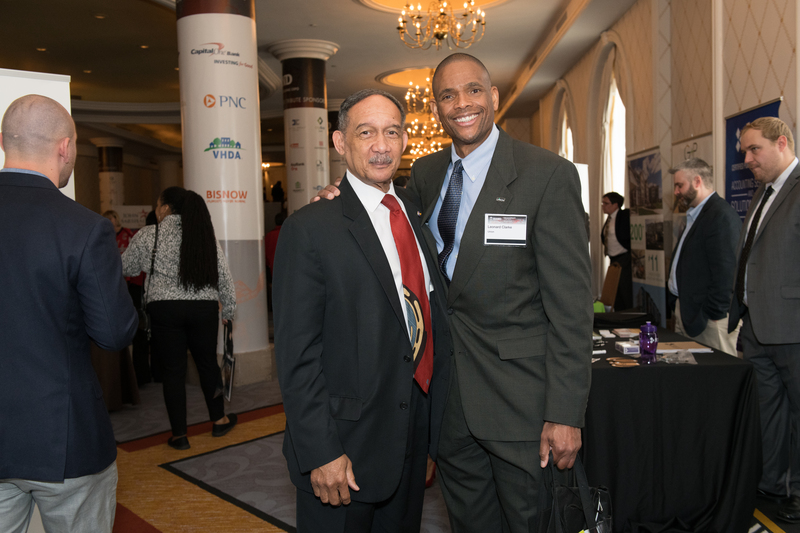 In this role, Jim is responsible for the development and implementation of corporate partnerships which leverage financial, in-kind, and volunteer resources to address identified Fairfax County priorities, particularly in the areas of affordable housing, education, workforce development, and social equity. Jim has held a variety of local, regional, and national community development roles throughout his career; prior to joining the Office of Public Private Partnerships, he served as National Director of Product Innovation at Fannie Mae; Mid-Atlantic Community Reinvestment Act Officer and Regional Community Affairs Director at Capital One; and National Vice President of African American Outreach at AARP. He currently serves on the board of directors of Carpenter’s Shelter and previously served as a board member of the Housing Association of Nonprofit Developers (HAND) and as the board chairman of the Latino Economic Development Center (LEDC). Jim is from Long Island, New York, and he earned his Masters of Business Administration from the University of North Carolina at Chapel Hill and his Bachelor of Arts from the University of Virginia.